The Party Wall: Lorax Party, Featured on HWTM! 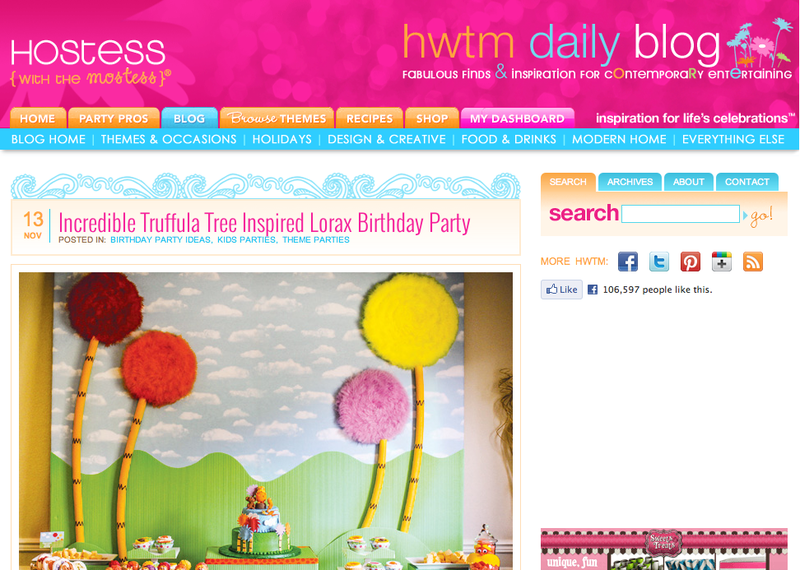 Lorax Party, Featured on HWTM! I am SOOOOOO excited that Sohan's Lorax birthday party was featured on Hostess with the Mostess this week. Click here to see the post. Wow, really cool decorations! What cant you create? : ) I know you make so many children and parents extremely happy. It's a great feeling to make someone's ideas come to life and to see the outcome of your work and the expression on the children's faces is priceless!! !